Protecting your business and positioning it for success in the future. In this blog series, we will highlight some of the most essential elements of valid business contracts. If you need assistance with business contracts or any legal issue affecting your business, don’t hesitate to contact Denver Business Lawyer Thomas E. Downey. He has the experience, knowledge and integrity you can count on to successfully resolve all of your business legal issues. Here’s a look at some of the most critical elements to include in your business contracts. Contact us for help devising business contracts that will protect your business. Here, it’s also conventional to include contact information (like a phone number and/or email address) for the other party entering into business contracts. 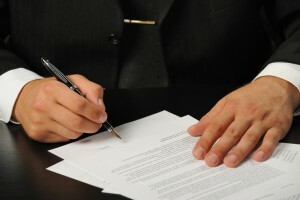 Once the parties of business contracts have been clearly identified in the contract, next, it will be important to detail the specific terms regarding the services and/or products to be rendered and/or the nature of the proposed relationship between a business and the other party entering into the contract with the business. The start date for the contract. Resuming 7 Essential Elements for Your Business Contracts (Pt. 1), below, we will continue to point out some critical components to contain in your business contracts. Provisions regarding the deliverables and compensation are crucial to include in your business contracts. Contact us for experienced help drafting business contracts. Another critical component of business contracts is having terms that detail the expectations regarding the deliverables associated with the contract. For instance, if your business will be selling X products to a distributor every month by the 5th of the month, then these details should be specifically included in the contract. How the deliverables will be tracked and who will oversee them (for both parties of the contract). Whether there may be additional costs or expenses (like, for instance, shipping or courier fees) related to the delivery of the contracted services, products, etc. Wrapping up our blog series 7 Essential Elements for Your Business Contracts, here, we will point out some final critical components to include in legal contracts for your business. While these elements can help you devise valid business contracts, contact us to ensure your best interests are protected in all of your business contracts. Here, it’s also important to note that, when developing provisions regarding the modification or termination of business contracts, it’s usually best to do so with the help of an experienced business attorney who can assist your business in devising terms appropriate (and preferable) for your business. Although you may not want to think about breaches of your business contracts, planning for the worst cases is critical to protecting your business when entering into any contracts. 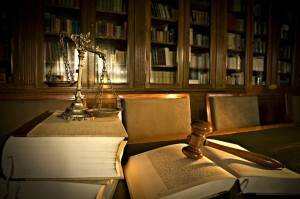 To this end, be sure to include terms regarding the legal actions that may be taken if business contracts are breached. Both parties agree to enter into arbitration (or mediation). The dispute resolution process will take place in the state in which your business is located (so that your state’s laws will apply to the given dispute). The losing party will cover the winning party’s legal fees. There may (or may not) be other damages available in the event that it’s ruled that business contracts have been breached. Finally, all business contracts should include a place to authorize (sign) and date the contract to enact it. This should include a spot for all appropriate authorities or signatories to sign the contract (with each party’s full legal name, as well as the party that an individual represents, being clearly spelled out beneath the space provided for authorization). If you need help developing business contracts or dealing with any legal issue related to your business, you can count on Denver Business Lawyer Thomas E. Downey. Since 1983, Thomas Downey and the other legal professionals at Downey & Associates, PC, have been providing individuals and businesses in the Denver Metro Area and throughout the U.S. with the highest level of legal service for their business legal issues. Our dedication to our clients, coupled with our extensive experience handling complex matters of corporate law, means that our clients can always trust that we will aggressively protect their rights and help them achieve the best possible outcomes to their sensitive legal matters.